This is a great attraction piece. Kids can't resist a super ball. Our new 24" all steel specialty crane is designed for the extremely popular 49 mm super ball. 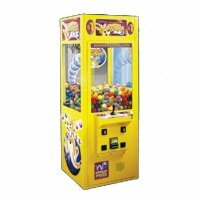 This is an exciting and attractive crane and a must have machine for all locations.